PRESS RELEASE: The Government Island-wide Network (GINet) Project, a joint-initiative between Saint Lucia and Taiwan, conducted an on-line testing operation to public In Castries on May 25, 2018 and attracted hundreds of local people to experienced free WIFI service. 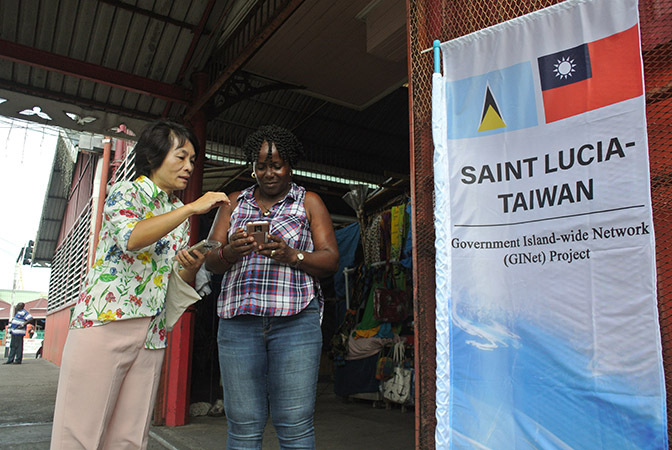 Taiwanese project manager, Karen Kuo, led her team to set up workstation at central market of Castries to test run the GiNet free WIFI service and evaluate the maximum number of users at individual WIFI hot spot. Andrea, the vendor at central market, was excited to express her appreciation to Taiwan by sending messages via Whats app immediately after she was successfully connected. Many people logged on to the GiNet internet and gathered around the workstation to inquire relative service information. 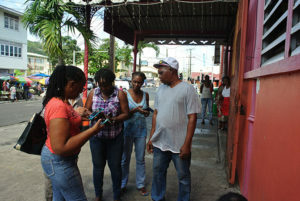 Castries GiNet WIFI network service is expected to be launched at the end of June this year. The GINet project is a major cooperation project between the governments of Saint Lucia and Taiwan. All the equipment and technology were imported from Taiwan. It was commenced in 2015 with the budget of US 4 million to enhance the internet penetration rate in Saint Lucia.